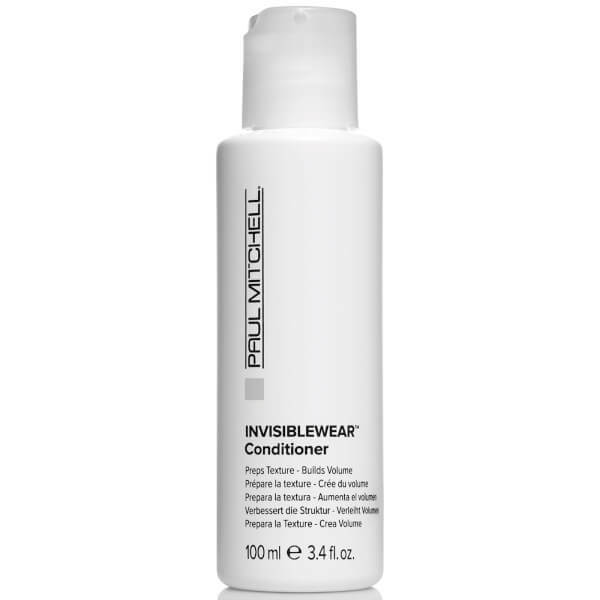 Add body and bounce to your locks with the Paul Mitchell Invisiblewear™ Conditioner; a weightless formula that leaves hair tousled and textured with an undone look. 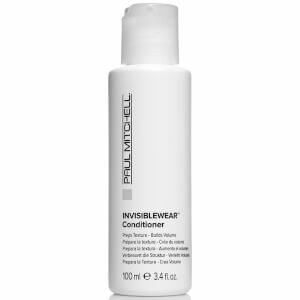 Fortified with Velvet Flower, the luxurious conditioner replenishes moisture and hydration, whilst restoring softness and shine from root to tip. Effectively detangles hair and enhances volume and definition for a salon-worthy finish. Expect glossy, manageable tresses. Apply a small amount after shampooing, then rinse. Style as desired. Aqua (Water, Eau), Cetyl Alcohol, Cetrimonium Chloride, Dicetyldimonium Chloride, Hydrolyzed Amaranth Protein, Salix Nigra (Willow) Bark Extract, Panthenol, Polyquaternium-37, PPG-1 Trideceth-6, Propylene Glycol Dicaprylate/Dicaprate, Trimethylsiloxyamodimethicone, C11-15 Pareth-7, C12-16 Pareth-9, Glycerin, Trideceth-12, Phenyl Trimethicone, Dimethicone, Methylchloroisothiazolinone, Magnesium Chloride, Potassium Sorbate, Sodium Benzoate, Disodium EDTA, Citric Acid, Parfum (Fragrance), Hexyl Cinnamal, Limonene, Linalool.